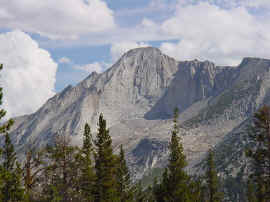 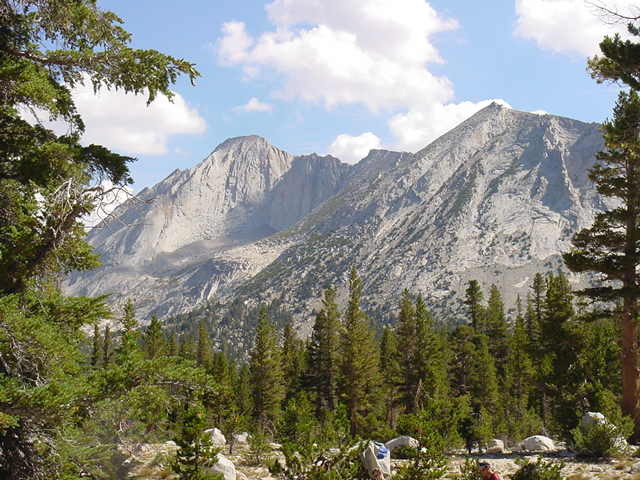 The southwest face of Mt. 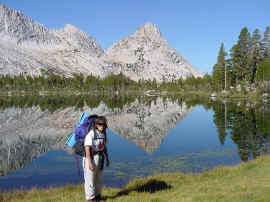 Conness from Young Lakes. the return hike, after summiting Mt. 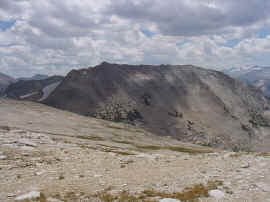 Conness. 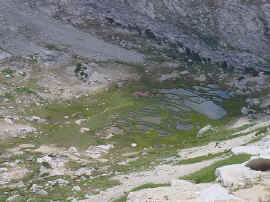 Lake 10,560' , 1.3 miles south of Mt. 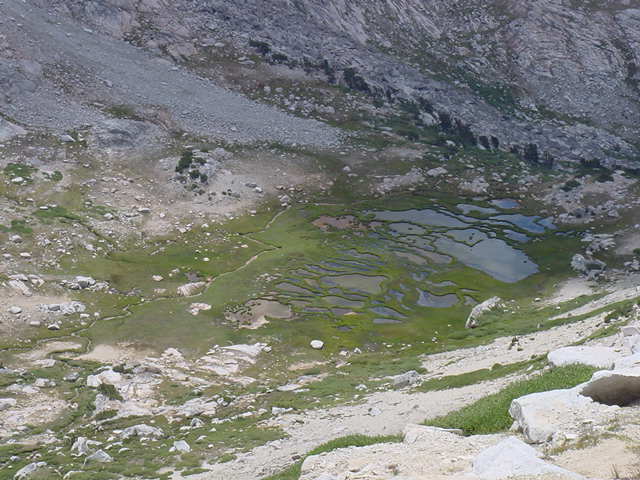 Conness. Our tent was about a mile SW of here.